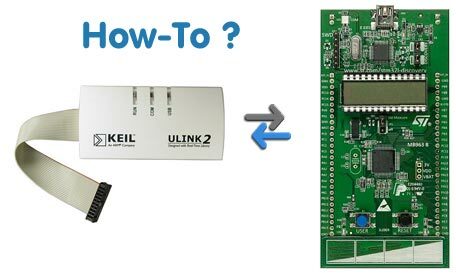 Last time I was connecting STM32L discovery to the ULINK2. Now it’s time to connect new “beast”. This very low cost board: ~12€ at . Detailed information is available via ST web page. On-board is a STM32F407VGT6 microcontroller. On Board is an ST-LINK/V2 embedded debug tool, two ST MEMS, digital accelerometer and digital microphone, one audio DAC with integrated class D speaker driver, LEDs and push buttons and an USB OTG micro-AB connector. By removing two jumpers ST-LINK could be used to program external microcontroller. ST have implemented the JTAG adaptor on the STM32L-DISCOVERY board. It’s very cheap board: ~12€ at . Detailed information is available via ST web page. On-board is a STM32L152RBT6 microcontroller featuring 128 KB Flash, 16 KB RAM, 4 KB EEPROM, in an LQFP64 package. 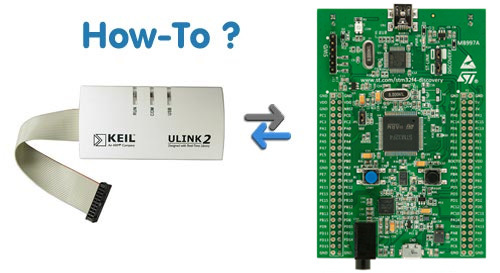 On-board ST-Link/V2 is connected to “local” microcontroller. By removing two jumpers ST-LINK could be used to program external microcontroller. Powered by Pavlin.SI 36 queries. 0.374 sec.